Ballyclare Protestant Boys Flute Band. 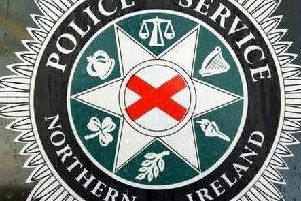 Police are advising motorists that diversions will be in place during a band parade in Ballyclare on Friday evening. Ballyclare Protestant Boys Flute Band will be staging their annual parade in the town on July 20. Commenting on the traffic arrangements, a PSNI spokesperson said: “The town will be closed for traffic between 8pm and 11pm. Commenting on Friday’s parade, vice chair of the band, Scott McDowell said: “In recent years the band has enjoyed tremendous support from the local community and local businesses. “This has enabled us to step out this year in a nice new uniform, giving the band that extra sparkle. “We would once again encourage everyone to come out and enjoy what should be a very good parade with some of Ulster’s finest marching bands taking to the streets. Urging residents to support the event, UUP representative, Cllr David Arthurs said: “Please folks, let’s get out in force on Friday, July 20 for Ballyclare Protestant Boys’ annual band parade.